Rich with holiday this Traditional Merry Christmas Photo Christmas Card is a holiday classic. 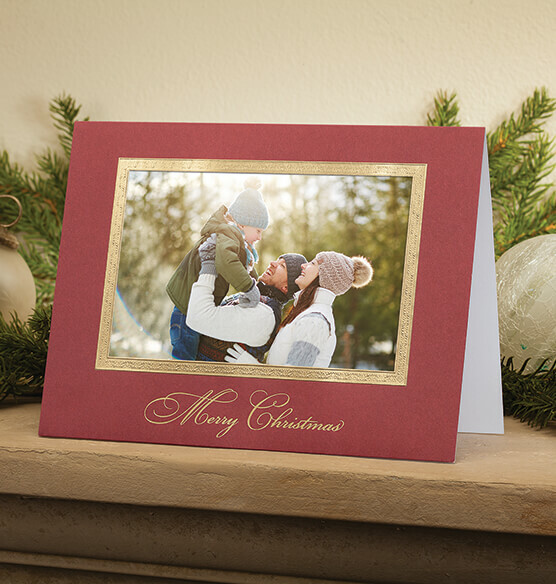 This duo-color design features deep Christmas red cardstock accented by a decorative gold foil border around the window's edge. Scrolled lettering gives the "Merry Christmas" below the window vintage appeal. The main attraction is your selected holiday photo, which appears horizontal for maximum enjoyment. The interior features a scripted text greeting. Personalize this traditional card with up to 3 lines of text. Coordinating envelopes included. 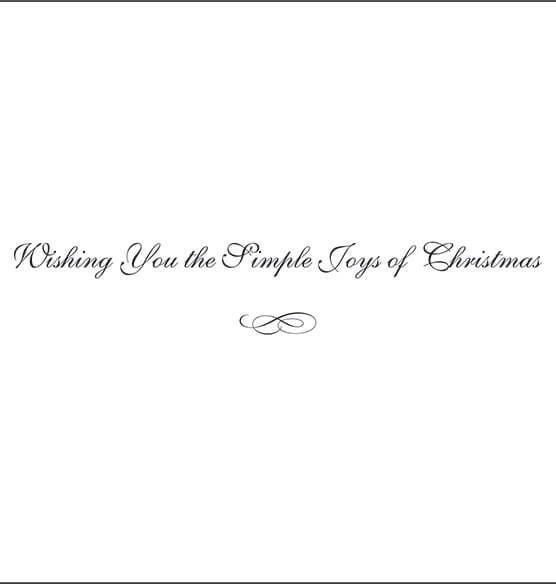 Pre-printed interior verse: "Wishing you the simple joys of Christmas." do your envelope still have the foil lining? what color foil is in the envelopes? BEST ANSWER: Thank you for your question. The envelopes are gold foiled. We hope this information will be of help to you.